The Presidio County Commissioners Court voted Wednesday morning to postpone adopting a permitting process for large-scale events held in the county. Officials made the decision following extensive public comment regarding a controversial festival that may be on the horizon. The county’s move to create an application process for mass gatherings and outdoor festivals that occur outside of city limits comes on the heels of an announcement by Austin-based C3 Presents. 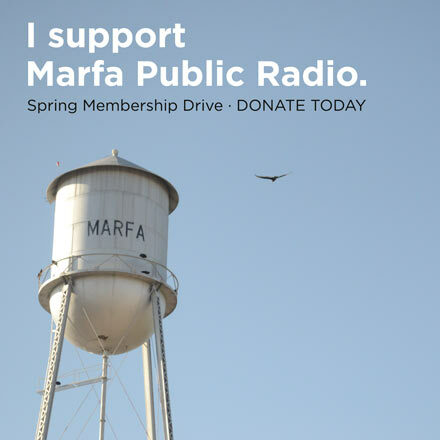 The company had initially proposed a festival of 5,000 attendees on a stretch of ranch land outside of Marfa in 2020. Recently, the group announced that the event would be delayed, but that they will still move forward with their plans. 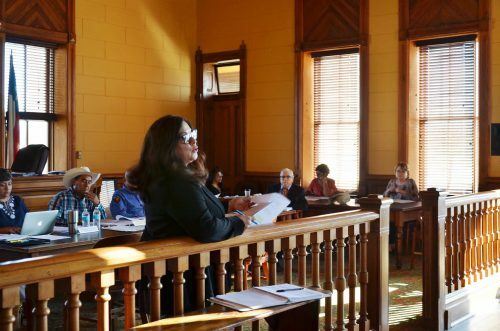 County Judge Cinderela Guevara indicated Wednesday morning that she felt C3’s proposed festival would not be the only large event approaching Presidio County in the near future. “Our concern is that we do not even have an application process in place,” said Guevara. Guevara stated that according to the Texas Association of Counties, a mass gathering is defined as an event that will attract more than 2,500 people, or more than 500 people if 51% or more of those in attendance may be under 21 years old and alcoholic beverages are expected to be consumed. Additionally, outdoor music festivals are defined as live music events with more than 5,000 people in attendance, that take place on two or more consecutive days outside the bounds of a permanent structure. Both types of event would be subject to an application process under the county’s potential permitting rules. At the meeting, Guevara presented the commissioners with the terms of a standard application used in the state of Texas for mass gatherings. 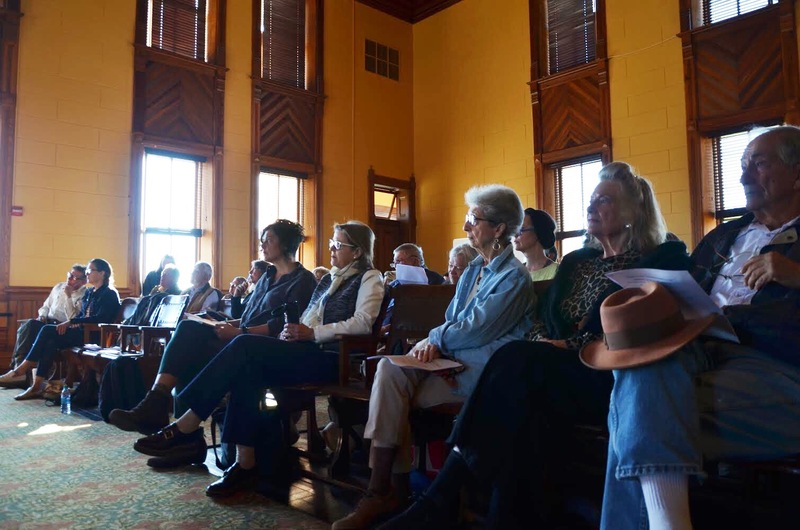 Approximately 50 residents showed up in the commissioners’ courtroom Wednesday morning. Some urged the officials to consider customizing the application to fit Presidio County’s unique needs and to match the scale of an event like C3’s proposed festival. Marfa resident Trey Gerfers said the county should slow down and take more time to create an application. “We’d like to form a citizens’ advisory group that could help you all do some research on this,” Gerfers said. He added that the group is interested in examining C3’s track record when it comes to abiding by permitting rules in other cities where the company has produced events. The advisory group also plans to study other areas that have hosted mass gatherings, including the small town outside of the popular Burning Man event in Nevada. Commissioner Brenda Bentley suggested the county create a local committee of officials and citizens to work together on Presidio County’s permitting procedure. Other concerns voiced by residents and county officials included liability, penalties for violating the county’s terms, and coordination between emergency services and festival organizers. After about an hour of discussion, the commissioners voted unanimously to postpone a vote on the application process until they have time to do more research. This entry was posted in KRTS News and tagged C3 Presents, mass gatherings, outdoor music festival, presidio county commissioners court. Bookmark the permalink.